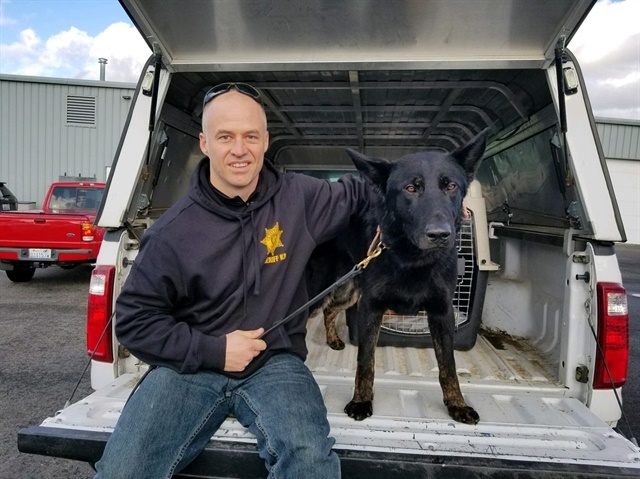 The Pierce County (WA) Sheriff's Office has acquired a new K-9 and named the dog "Dan" for Deputy Daniel McCartney who was shot and killed Jan. 7. "While the breeders originally named the dog 'Alfa,' today a new name was chosen for him by Deputy McCartney's three sons who named him 'Dan.' With the name comes great expectations—brave, strong, hard working. We know K-9 Dan is up to the challenge and are so excited to have him join our family," the Pierce County SO said on Facebook. K-9 Dan is a 15-month-old purebred German shepard from Shallow Creek Kennels in Sharpsville, PA. He will be partnered with the agency's K-9 Baker, who proudly served alongside McCartney in the Pierce County SO's Mountain Detachment.